I’ve started a pair of Snowbird mittens. 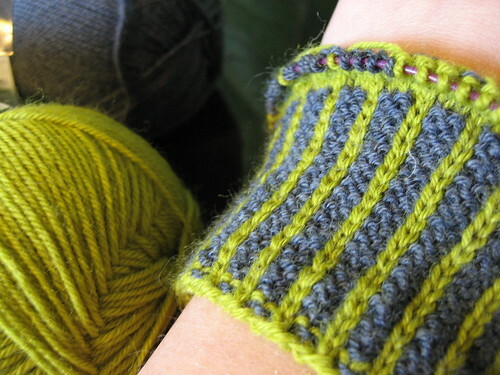 Using Schoppel Wolle in dark grey and a bright green. I love the look of corrugated ribbing! This entry was posted in Creative, In progress, Knitting and tagged creative, knitting, mitten. Bookmark the permalink. That ribbing is lovely and the color combo is great!